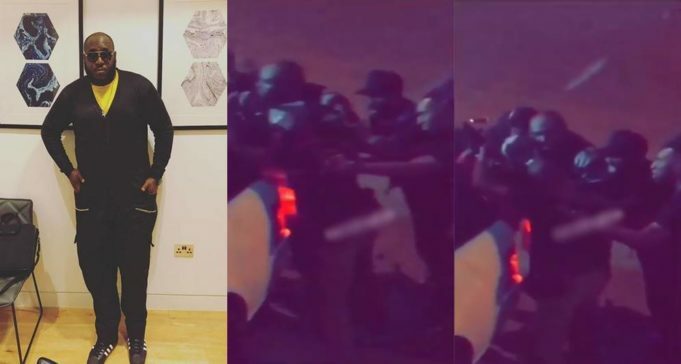 There was pandemonium at Lounge38, Surulere, Lagos, as some police officers had to wrestle a gun from the hands of Mavin records’ official DJ, BigN. And as the fight continued, BigN was alleged to have gone into the white vehicle in the video and brought out a pump action rifle. It was further alleged that he fired some shots into the air.